Monday 27th October to Friday 31st October 2014 at the Performing Arts Centre, Convention Centre and The Sebel, Mandurah, Western Australia. Coast to Coast is the Australian national coastal management conference, renowned for providing an excellent forum for all with an interest in coastal, estuarine and marine matters to meet and to share knowledge and experiences in the areas of management, science, policy, governance, advocacy and other related topics. The 2014 conference will explore how knowledge, both scientific and community generated, can be used to help address the many changes occurring at our coasts. The focus will be on the value of working collaboratively and in partnerships to achieve sustainable use, management and development of our coasts. The Coast to Coast Conference been successfully held every two years since 1994 at venues in different states around Australia and have attracted around 400 delegates, including managers and researchers from councils, universities, consulting companies, regional natural resource management organisations, community organisations and all levels of government. 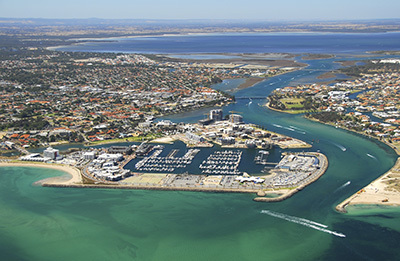 This year, it will be held in Mandurah, Western Australia from the 27-31 October and we invite you to be part of Coastal Knowledge for Coastal Change, The National Coast to Coast Conference, 2014. This forum will provide sponsors, exhibitors and delegates the opportunity to network and discuss environmental and coastal best practice with officials from the nation's leading management and scientific authorities. Attendees will also be able to participate in high-quality symposia and workshops that will enhance their ability to respond to environmental issues and generate sustainable outcomes for their organisation. We look forward to seeing you at the Coast to Coast Conference 2014 in October 2014.